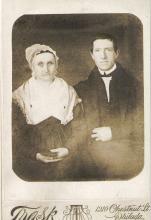 Eusebius Barnard was born in July of 1802 and educated in Chester County. He attended neighborhood schools and devoted his energies to the farming interests in his community. He is widely known as a strong abolitionist and an earnest advocate of womens rights and temperance reform.